The company’s order books have swelled year-on-year, particularly in fleet with 27% growth (from 16,285 to 20,595) and true fleet growth of 45% (from 7,561 to 10,987) and, the company says, despite the market declining by 7% (from 728,607 to 677,614) overall and by 8% in true fleet (from 296,777 to 273,242). 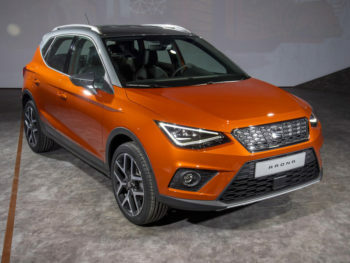 The company now enjoys a healthy 4% market share of UK true fleet and is amongst the top ten brands – and with a recent lineup including the Ibiza, Arona, Leon, and its first ever SUV, the Ateca. Peter McDonald, head of business sales at Seat UK, said: “The first half of the year has been a fantastic success with fleet operators turning to Seat thanks to growing interest in our brand, our broadened product portfolio and our genuine intention to make it easier for customers.